contribute US$1,000 or more to the Annual Programs Fund, PolioPlus, and other approved Foundation grant activities. Paul Harris Fellows gifts advance world understanding, goodwill, and peace through the improvement of health, the support of education, and the alleviation of poverty. Projects like these depend on the ongoing support of dedicated Rotarians and friends. The Paul Harris Society is a district-administered recognition program. 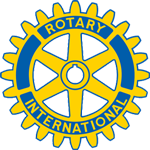 Membership is tracked and recognized independently by each Rotary district. Donors of US$1,000 or more to the Annual Programs Fund, PolioPlus, or the Humanitarian Grants Program, or people who have that amount contributed in their name, can be recognized as Paul Harris Fellows. Each new Paul Harris Fellow receives a commemorative certificate and a pin.